Imagine setting out into the mountains on a bright winter morning and exploring the picturesque frozen landscape in solitude. 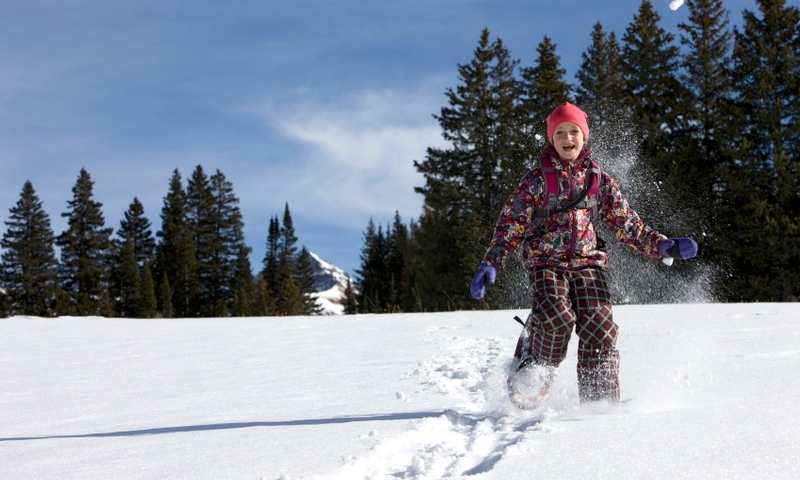 Whitefish snowshoeing is a great way to deeply appreciate Montana’s natural beauty. Join our fun and knowledge winter guides on a snowshoe day trip into Glacier National Park. Overnight camping options too. Stumptown Snowboards has a great selection of gear for sale or to rent. From beginner set-ups to expert demo packages. 2 locations. 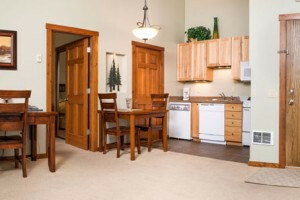 Just 8 miles from Whitefish, enjoy our 19-acre property complete with nightly lodging offering kitchen, WiFi & entertainment center and more. A unique HOSTEL for adventurers. Follow game trails into the woods, or follow the perimeter of Spencer Lake (on our property) to spot moose, elk, eagles and deer. Popular with locals in the know, Pig Farm Trails is an extensive network of trails just outside Whitefish. Snowshoers and cross-country skiers can enjoy miles of groomed Nordic Trails on Whitefish Mountain. Travel the historic route of Lewis and Clark on snowshoes as you travel Autumn Creek Trail. Barring its namesake, the Pig Farm Trails offer a beautiful and peaceful setting for snowshoeing and are very popular with locals. Located just a few miles outside of Whitefish along Route 93, the Pig Trails moves through low lying meadows and thick pine forests. Trailhead: Take Route 93 north a few miles until you see access road 424 then turn left. Follow the dirt road for about 10-miles. With miles of well-groomed trails, Whitefish Mountain Resort offers some of the best conditions for beginner and advanced snowshoers due to its heavy snowfall and varied terrain. Snowshoers and cross-country skiers share most of the Nordic trails which crisscross the mountain. There might not be any better way to get up close and personal with the beauty of Glacier National Park than to trek it via snowshoe. In winter, the park is covered with a blanket of snow and without the fear of bear attacks, visitors are free to roam the backcountry. Starting at Marias Pass, the Autumn Creek Trail travels 6-miles through deep forests and remote lakes. The route traces the historic footsteps of Lewis and Clark and offers jaw-dropping views of the towering glaciers which unfold on the horizon. Trailhead: The trailhead starts in West Glacier, just off Highway 2, on the summit of Marias Pass. 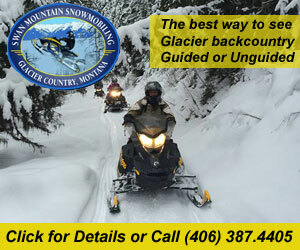 There are a few outfitters which offer guided snowshoe tours, particularly through Glacier National Park. Park naturalist offer guided snowshoeing tours throughout the winter, so contact Glacier National Park for more information. 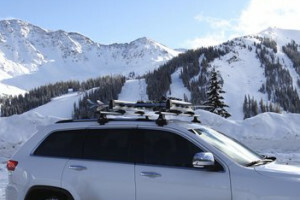 Whitefish Mountain Resort and Bar W Ranch offer some greatsnowshoing tours of the surrounding areas.